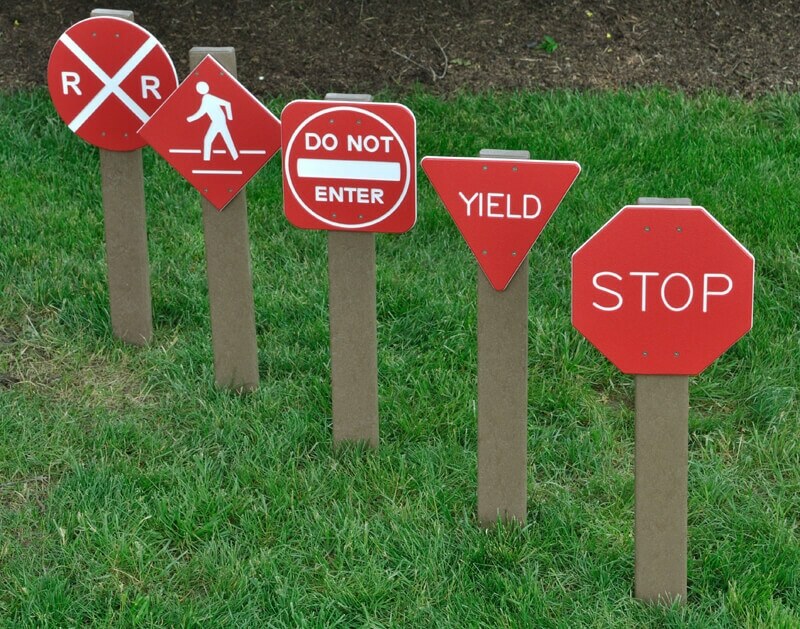 The Traffic Signs are great for dramatic play and teaching vehicle and pedestrian traffic safety. Place the signs along the bike path on your outdoor preschool playground and children will love coming to a screeching halt to avoid a collision or a traffic ticket. The perfect accompaniment to any children’s outdoor playground, our Signs are made from ½” sheet plastic mounted on a structural, portable recycled plastic post.